March 5, 2014--Just picked this up from the framer. 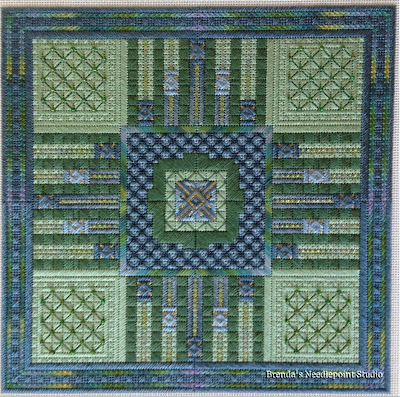 It will be lovely hanging in my guest room. 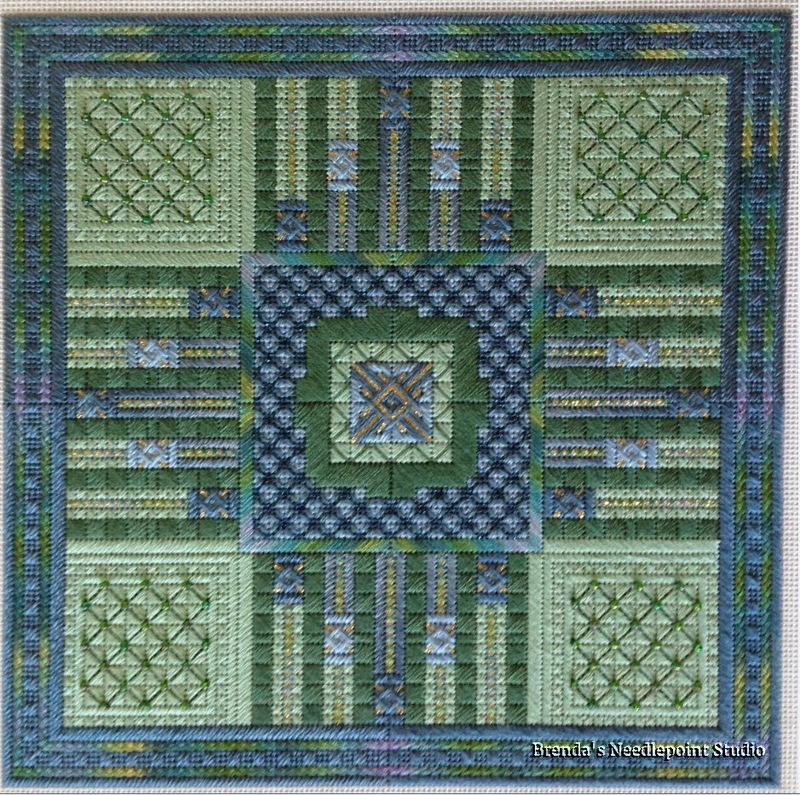 September 24, 2013--Spirit is now complete and am very happy with the results. 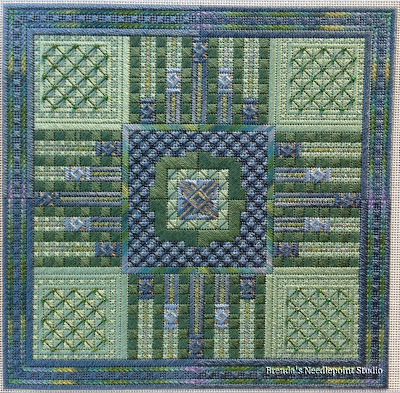 In the class given by Sue Reed at the ANG Seminar in 2012, she gave wonderful details on how to color match the overdyed Gloriana silk, when to take advantage of a favored color and how to make a lesser desired color recede. 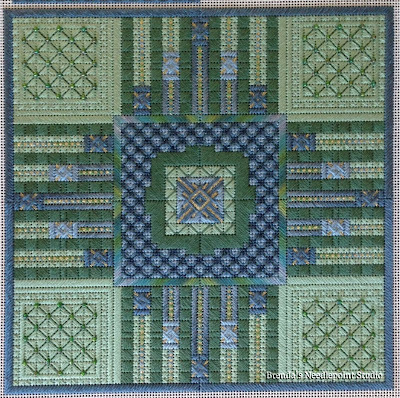 The results make the border appear to change as if light were moving accross the threads. This is somewhat visible in the photo immedately following the text. The nap of the threads also appear darker, depending on the light's angle. 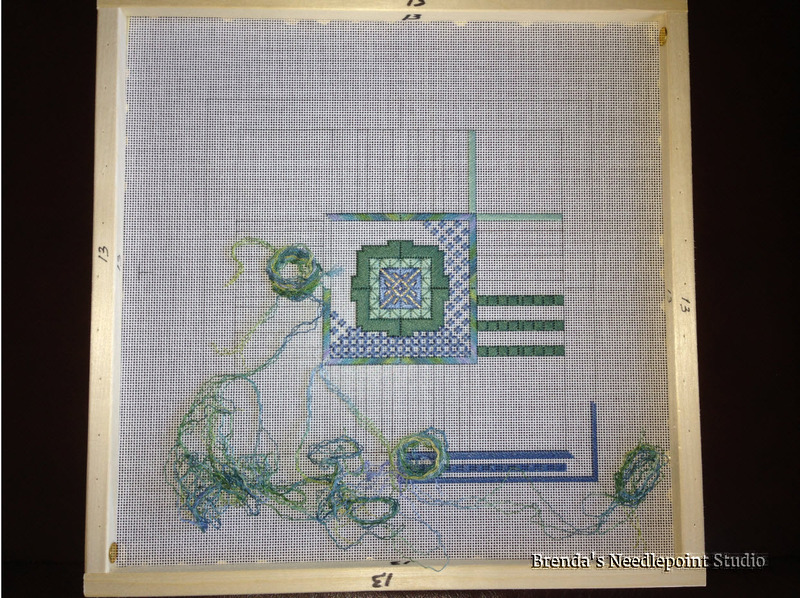 The second photo is a more subdued version of the project and the thread variations are somewhat flattened. 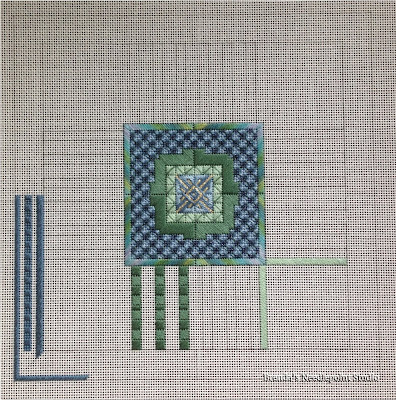 Now to talk with my framer on how to best highlight the work. September 18, 2013--Moving along nicely. Section F is complete. 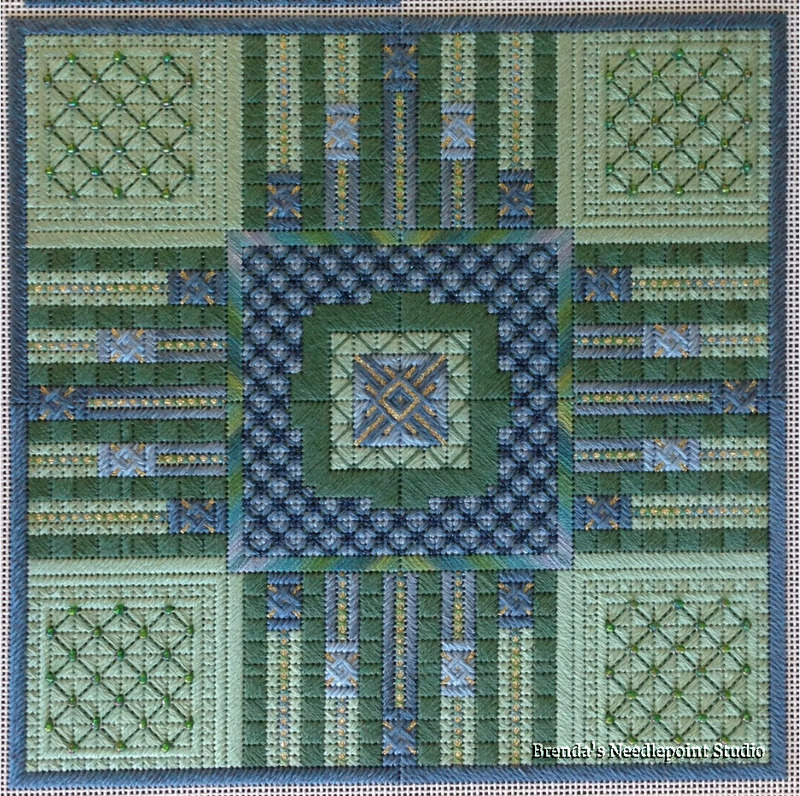 Sue Reed's instructions did not call for beads, but I wasn't happy about the blank 2x2 thread square areas, so I embellished them with the prettiest green beads having gold irridescents throughout. 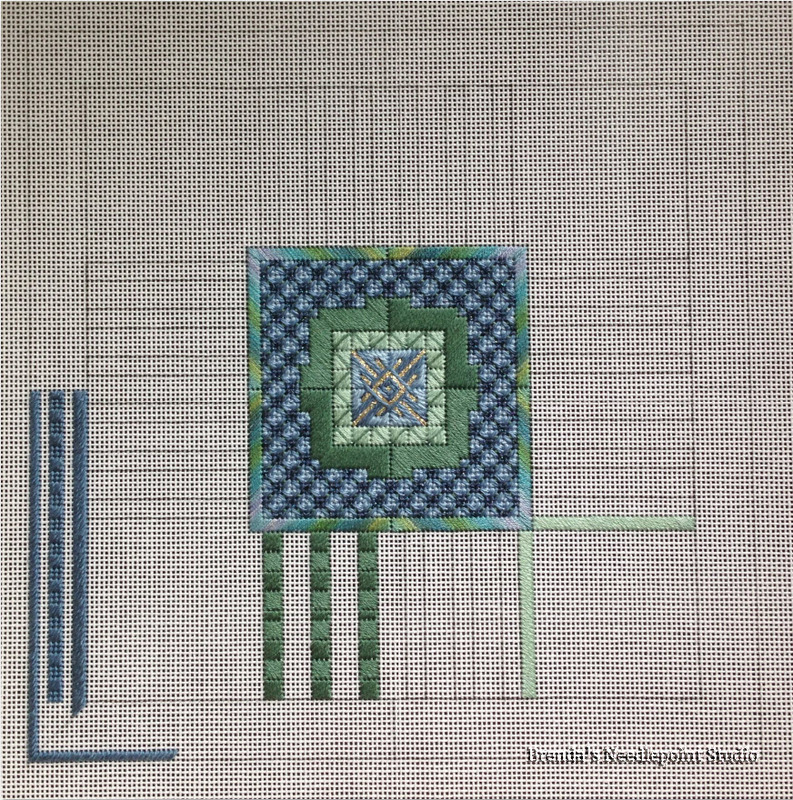 September 16, 2013--Section E is totally done and I can now see how beautiful this project will be. 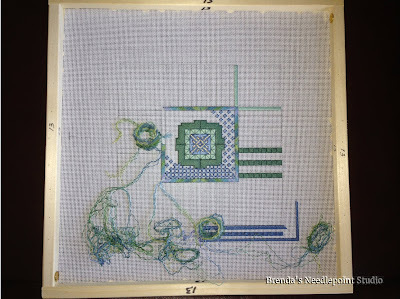 September 6, 2013—All the thread spaghetti has been cleaned up and the center portion completely stitched. 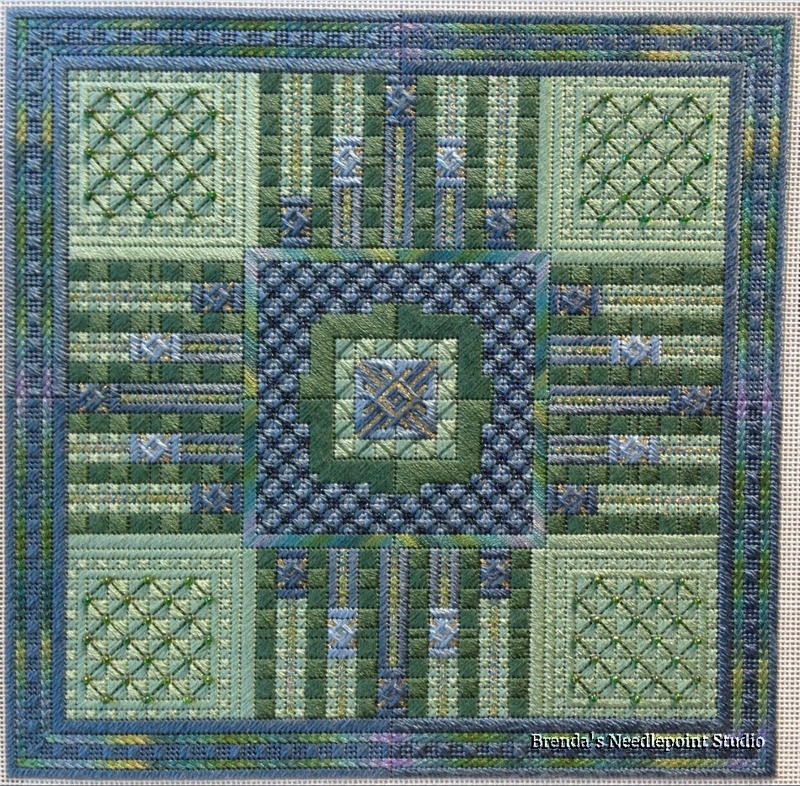 Re-read Sue’s instructions on how to manage color placement of the overdyed Gloriana. She has some very helpful tips. 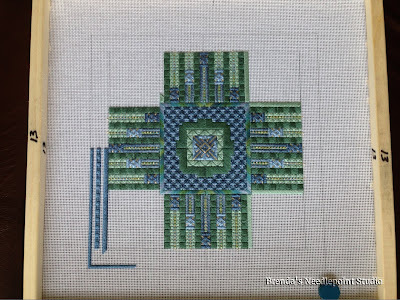 I’m excited about completing this project—love the sumptuous silk threads and the stitches which give this piece depth. September 1, 2013--Pulled out Sue Reed's Spirit project begun at the 2012 Seminar in Philadelphia and found lots of thread spaghetti. 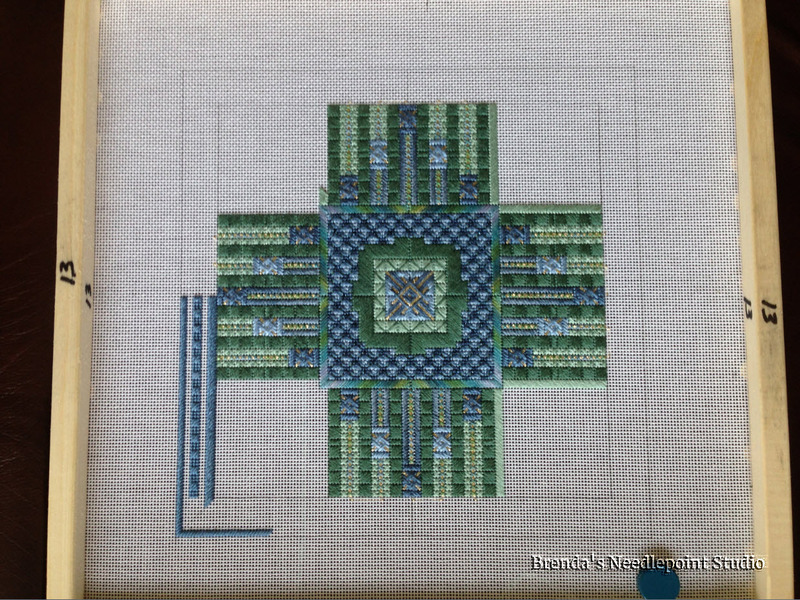 Over the next few days, want to get re-acquainted with the instructions and begin stitching on this beautiful piece.